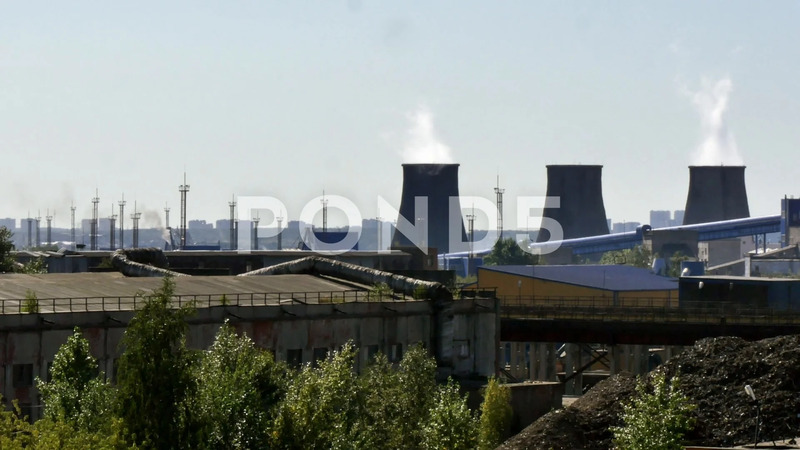 Description: Factory tubes chimney smoke. Environmental pollution. Nature of city is in danger. Chemical emissions into the atmosphere.